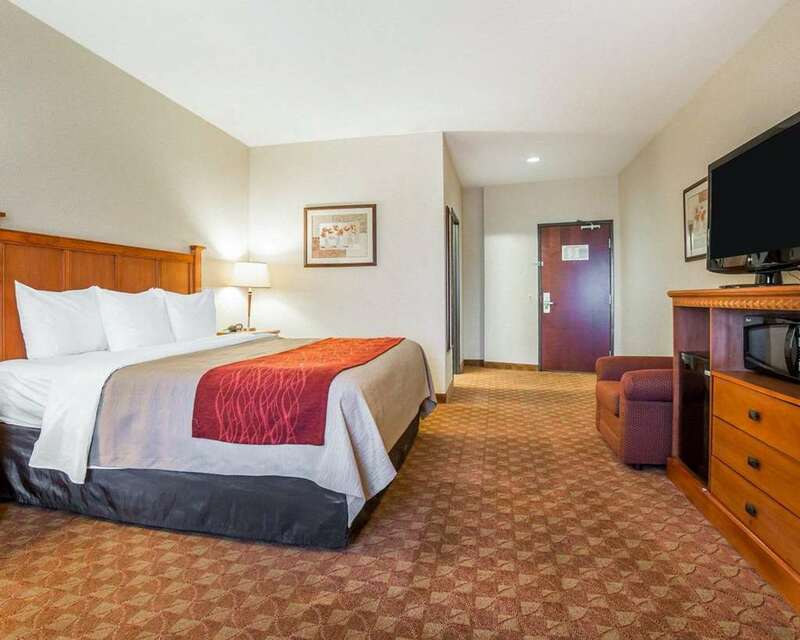 Get more of the space you need to spread out at the smoke-free Comfort Inn and Suites Las Vegas - Nellis hotel in Las Vegas, NV near Nellis Air Force Base. Nearby businesses include the Las Vegas Motor Speedway, Fremont Street Experience, CSN Planetarium and Observatory, the North Las Vegas CA Medical Center and MGM in addition to other casinos. Enjoy free hot breakfast, free WiFi, an exercise room, a convenience store and the outdoor pool and a hot tub. Your spacious suite offers 25 percent more space than the traditional room and amenities like a microwave, refrigerator, coffee maker, hair dryer, iron and ironing board. Also, earn rewards including free nights and gift cards with our Choice Privileges Rewards program.